The sun is finally shining high up here in the Pacific Northwest, and I am keeping my fingers crossed that spring is here to stay. I cannot think of a better way to celebrate spring and times of renewal than with a delightful layer cake. A slice of one of these rose orange cardamom mini cakes is like a little slice of sunshine on every plate. With Mother’s Day just around the corner and warm weather on the horizon, now is the time to start turning these bright, light flavors into delectable little treats. I’ve personally been on a cardamom kick lately, and have been experimenting with ways to incorporate the spice into different desserts. I find that it pairs beautifully with citrus and subtle floral flavors. The buttery, velvety orange and cardamom cake make a great match with the zesty filling and silky, rose buttercream frosting. 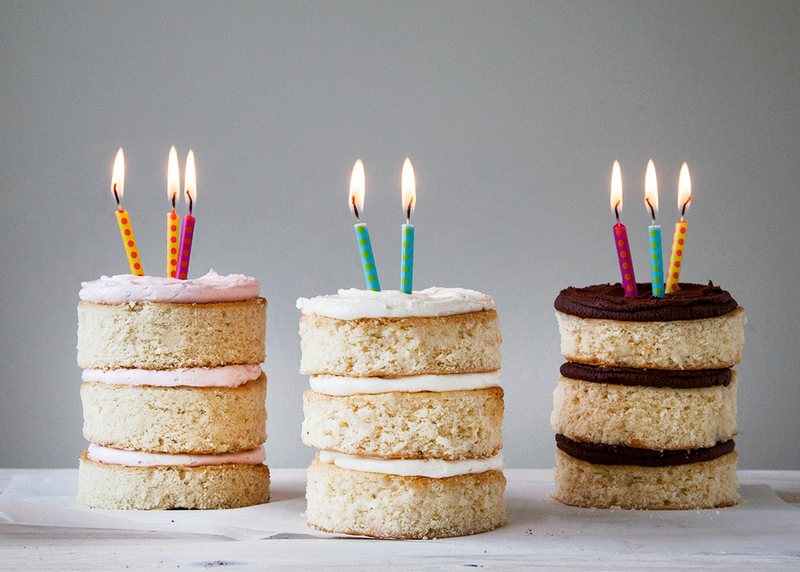 And how cute are these mini layer cakes?!?! Instead of making on large cake to share, make these minis to set at each pacesetting or decorate a dessert bar for your next spring celebration! Find the full recipe at The Kitchn.